Satisfying, flavorful, absolutely delicious. 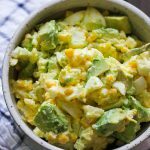 That is all about this Avocado Potato Salad! This salad is a little crunchy too. I added some celery for freshness and corn for sweetness. Plus my kids really cant live without having corn in every second dish. 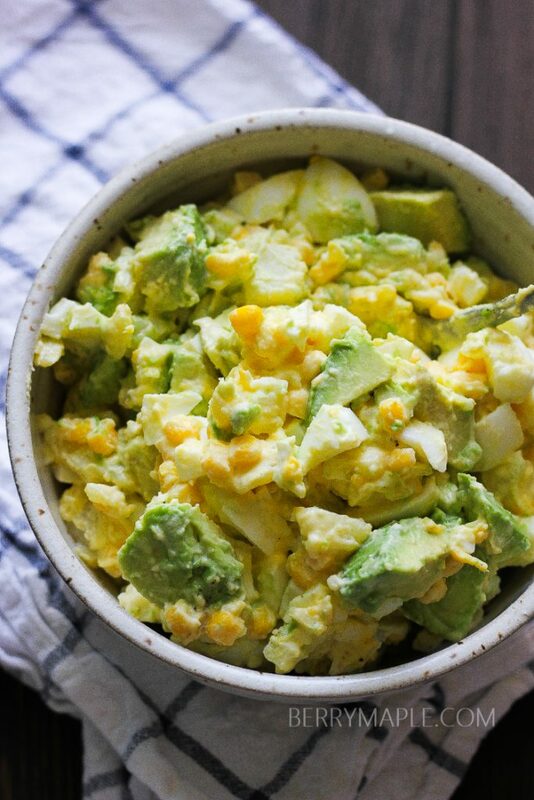 Corn could be fresh from the cob or canned like we used it here, in avocado potato salad. Depend on a season. Love salads? Try these Roasted eggplant and tomato salad or Avocado corn salad with chicken . Boil water in a large pot. Peel potatoes and put them in to a boiling water. Cook for about 15-20 minutes until soft. Cook eggs in the same or different pot for 10 minutes. Peel. Take medium bowl. Chop celery, potatoes and eggs in a 1/2 inch sizes. Add to the bowl. 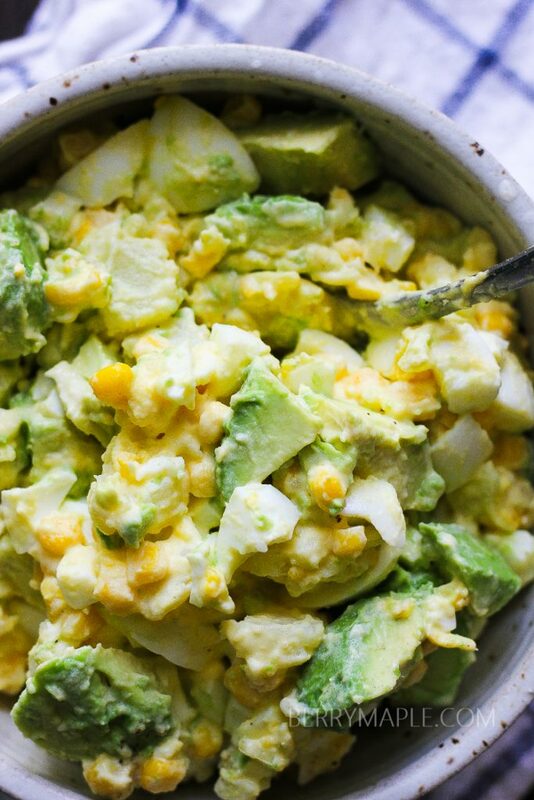 Add corn and sliced avocado. Mix mayo, sour cream and mustard in a separate little bowl. Pour into your salad. Stir and salt and pepper to taste. For the extra crunchiness you can add chopped onions.